n tribute, appreciation and honor for all “rescuers” who dedicate their time and energy to ensure the safety of those in need, Tri-County Animal Rescue and Fire Fighters of Boca Raton Local 1560 teamed up with award-winning photographer Ren Dittfield to publish “Rescuers Who Rescue”, a 62-page pictorial keepsake book that shares the inspiring story of community coming together in pursuit of rescue and welfare for all. 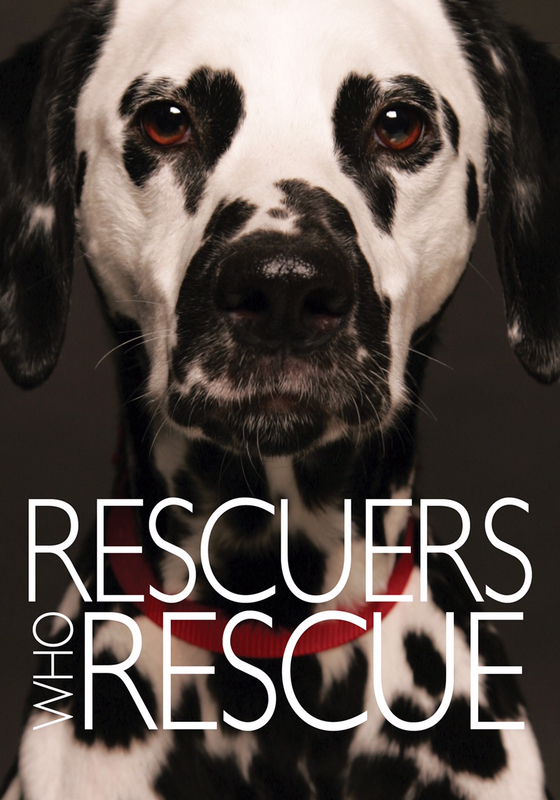 Proceeds from the sale of the book priced at $25 and purchased at https://tricountyanimalrescue.com/rescuerswhorescue/ will be equally shared between TCAR’s Capital Campaign and the Boca Raton Fire and Paramedic Benevolent Fund Scholarship Program. Unveiled in time for 2014 holiday season and year ‘round gift giving, the heartwarming photo essay blended with poignant stories of rescues by fire fighters, TCAR board members, area families and community leaders will debut to the public at a launch party hosted by Saks Fifth Avenue on Wednesday, December 3rd from 6 p.m. to 8 p.m. in the Men’s On First on the first floor. Tickets are $50 that includes cocktails, lite bites, entertainment, a Saks Fifth Avenue Men’s Collection Gift and the “Rescuers Who Rescue” book. Pre-registered guests and those purchasing tickets at the door will also have an opportunity enter a raffle for a donation of $100 per ticket to win one of two Royal Caribbean Cruises to go anywhere, anytime and on any Oasis, Allure, Voyager, Freedom or Radiance Class Ship that was arranged by Scott Grody Travel. The brainchild of Sharon DiPietro based on a seed planted by a friend, Marie Occhigrossi, for a 16-page calendar tribute to TCAR and Boca Raton Fire Fighters. They met with John Luca, City of Boca Raton firefighter and president of the International Fire Fighters Local 1560 and Frank Occhigrossi and the evolution began. They, along with Dittfield and their dedicated committee including Firefighter John Gonzalez, publisher Karen Marinov of EG Communications Group and Scott Grody set out to produce a compilation of imagery related to animals and their rescuers, with the initial mission to capture the seriousness and bravery related to the efforts of those dedicated to rescuing. Dittfield wanted the photography to depict the true danger that these animals and local fire fighters face on a daily basis. However, as the project developed and after hearing and seeing so many heartfelt stories, the intense emotion associated with the subject shifted their perspective to focus on an ever-present passionate community of rescuers that included a diverse group of individuals, families, volunteers, and community leaders. As “Rescuers Who Rescue” photo sessions wrapped up, Dittfield and his team including pet lovin’ assistant Renette Verhaeghe realized that what began as a project to create beautiful images, grew into a passion for spreading awareness of animal cruelty and pet rescue and gratitude towards rescuers everywhere. Dittfield’s work has been seen in numerous publications including Cosmopolitan, Sports Illustrated, Rolling Stone Magazine and countless others. He has photographed celebrities such as Enrique Iglesias, Paulina Rubio, Morris Lapidus and Alonzo Mourning, just to name a few. He has been the chosen head photographer for the Miami Dolphin Cheerleader calendar as well as the Washington Redskins Cheerleader calendar. He has many major catalog and motion picture clients, along with commercial projects. TCAR actively participates in Palm Beach County-focused efforts for the Countdown To Zero Initiative, collaborative effort to end euthanasia for adoptable dogs and cats in Palm Beach County within 10 years, as well as efforts by municipalities to ban puppy mills, or retailers who sell puppy mill dogs and cats. Saving lives in Palm Beach, Broward, Miami-Dade and Martin counties and beyond, TCAR is a protective haven to thousands of abandoned, abused or neglected dogs and cats from other facilities in South Florida, Treasure Coast and as far as Sarasota, Alabama, Tennessee, Oklahoma, Louisiana, the Bahamas and most recently abroad from Istanbul, Turkey. A top-rated animal rescue center not limited to regional borders, TCAR has rescued more than 50,000 animals since its inception in 1996, offering homeless pets a welcoming forever home, either on campus or through carefully vetted adoptions that total more than 3,000 per year. The 501c (3) nonprofit organization operates solely on donations, sponsorships, grants, and proceeds from events and its thrift shop. It receives no local, state or federal government funding. Located at 21287 Boca Rio Road, Boca Raton, Florida 33433, TCAR is open for adoptions five-days-a-week Tuesdays, Thursdays, Fridays, Saturdays and Sundays from 10:30 a.m. to 4:00 p.m. For frequent updates or more information on TCAR, call (561) 482-8110, visit tricountyanimalrescue.com; connect via facebook.com/TriCountyHumane, twitter.com/TriCountyAR, and Instagram/TRICOUNTYANIMALRESCUEFL.